Better late than never… Every year I like to update a poster freebie to celebrate PT and OT month. October is Physical Therapy Month so I am a bit behind. This poster freebie was created for PT month or for all year long. I created it with Happy PT Month on the bottom or print it without that section. If you are a pediatric therapist, I don’t have a doubt in my mind that you read this poster and one child or several children pop into your memory. It is those children that proved you wrong. You may have thought his/her goals were too lofty or the parents expected too much. Then that child “schooled you”. 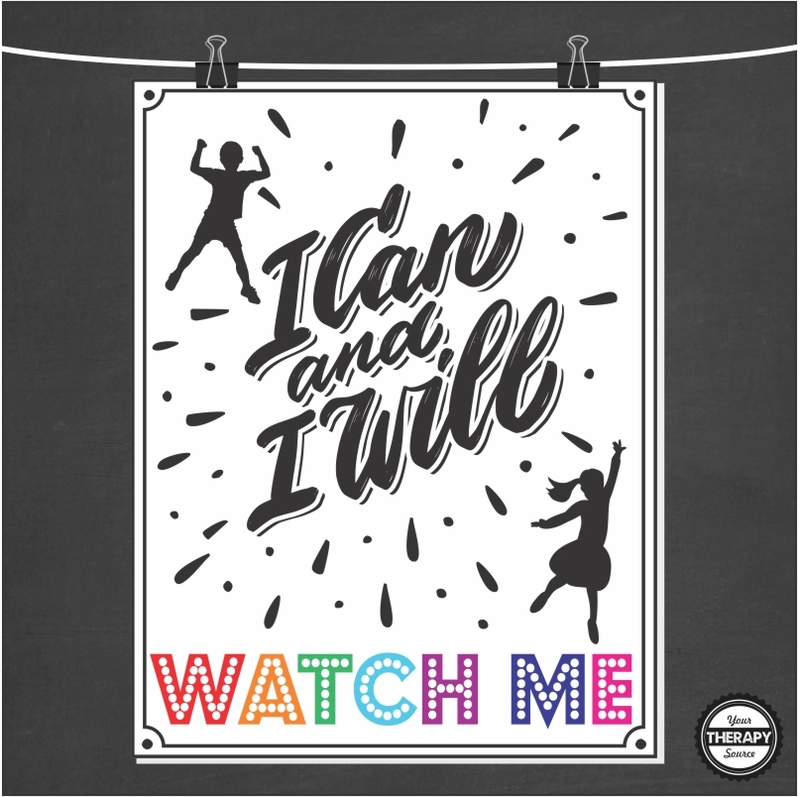 This poster is for ALL those children that show us each and every day THEY CAN AND THEY WILL. Believe in each child’s abilities and talents and they will achieve their goals. 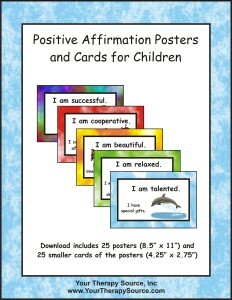 Looking for more positive affirmations for children? Check out Positive Affirmation Posters and Cards. This is a digital download of 25 positive affirmation posters (8.5″ x 11″) and smaller cards of the posters (4.25″ x 2.75″). Empower children to realize all of their talents. All too often, children with special needs are told what they are unable to do, how about teach them what they can do! Positive affirmations help children to believe in themselves. The posters include simple text, animal pictures that compliment the text and colorful backgrounds. Hang them up around the house, class or therapy room and provide the child with the small cards to carry around to reinforce the concept. FIND OUT MORE. 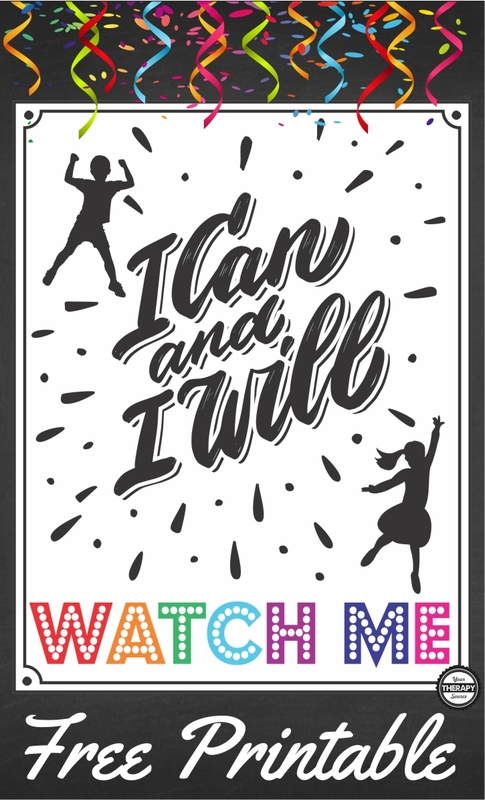 Sign up to receive our email newsletter to gain access to the I Can and I will Poster Freebie. If you already subscribe, just enter your email and you will be redirected to the download.